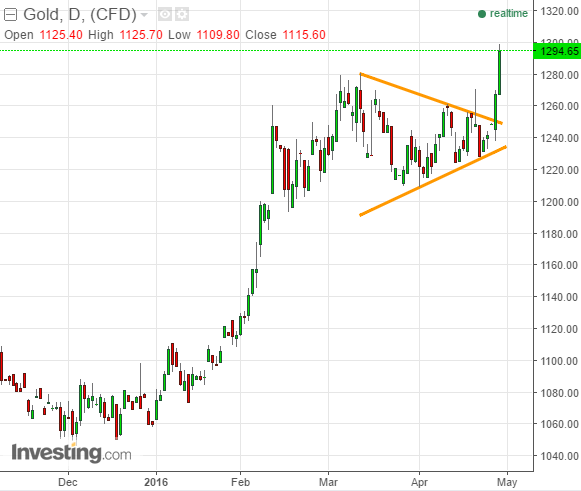 Precious Metals Rally Enters Euphoria Phase | Energy and Gold Ltd.
Gold breaks higher from multi-week consolidation – the next upside level of interest is the January 2015 double-top at $1308. The word ‘parabolic’ gets thrown around a bit too much and in recent weeks some have even used it to describe some of the upside moves in the gold miners earlier in the year. 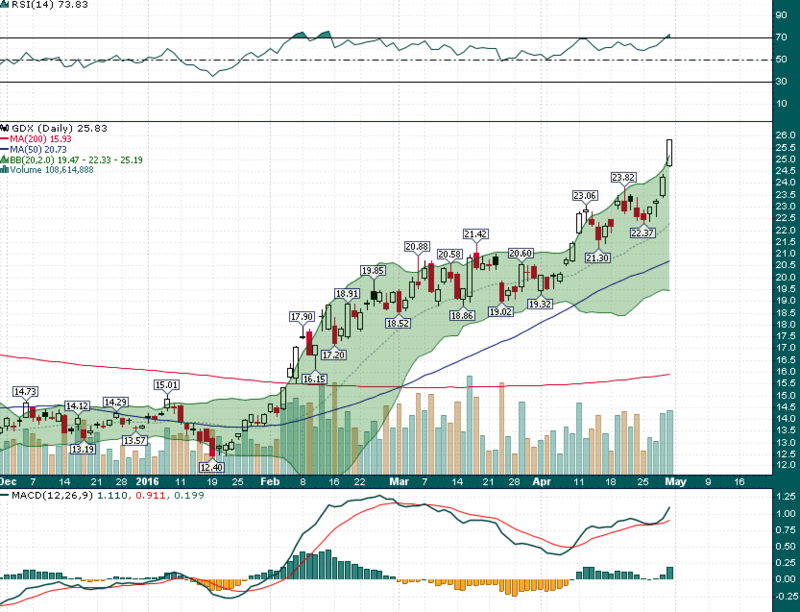 To be sure the goldies have not been parabolic, yet. Today’s price action and close well above the upper 2-standard deviation Bollinger Band is the first indication that price action is beginning to turn parabolic. However, it is important to emphasize the word ‘beginning’. 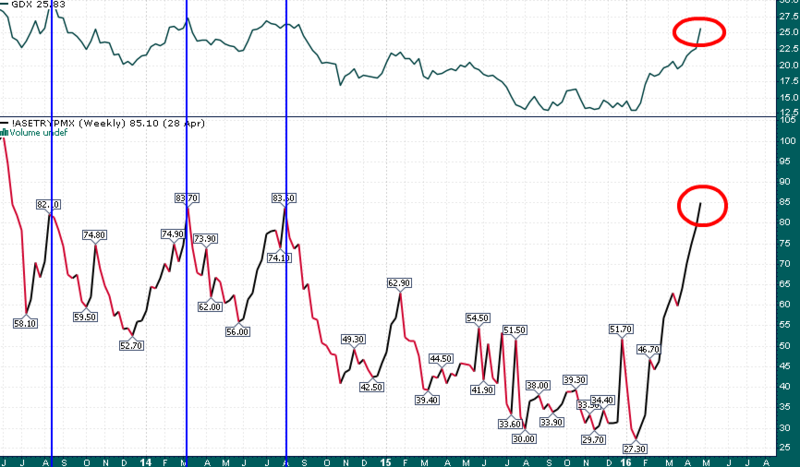 When euphoria begins to set in price action can become parabolic for weeks at a time (see silver in April 2011), the rally in gold and the miners may have just begun to become crazy to the upside. 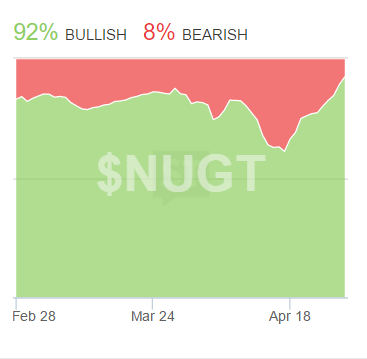 Meanwhile, NUGT total assets have increased by more than $300 million in the last few weeks as leveraged traders continue to bet big on the rally in the gold miners. So far the bulls have been handsomely rewarded but it is always concerning when traders utilize more leverage as price becomes more extended to the upside. Things could be getting very interesting in the precious metals/mining space over the next couple of weeks especially with markets entering the historically tumultuous month of May.